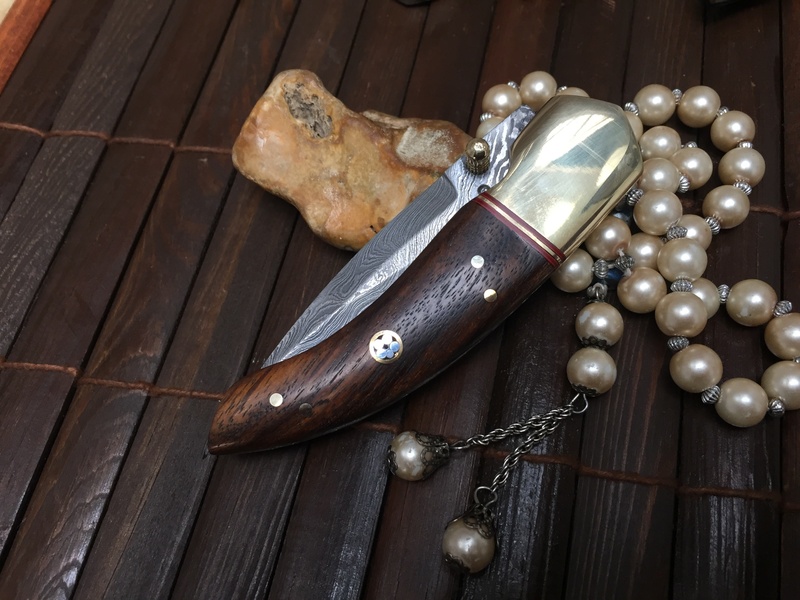 It’s stylish, functional and saves you ample storage space – presenting the Folding Hunting Knife that folds and unfolds in no time, giving you the confidence you need during challenging situations. 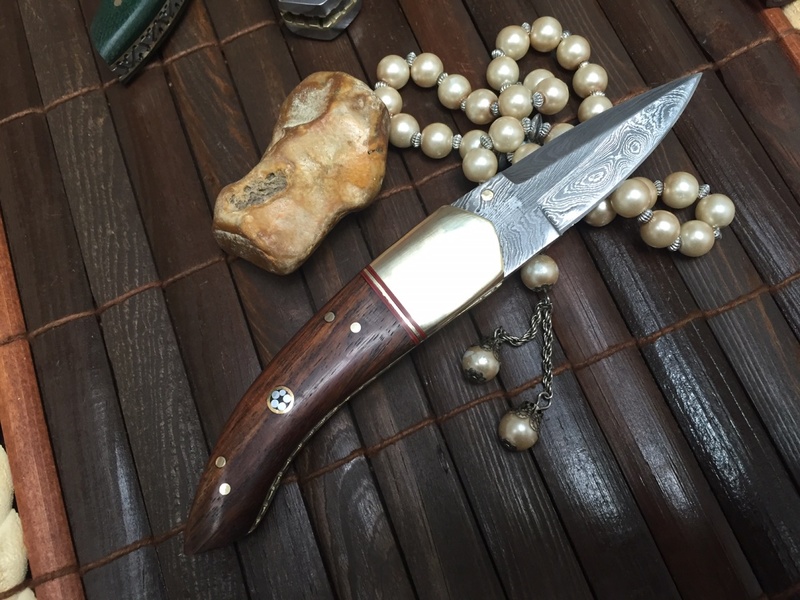 Perkin Knives offer Damascus steel folding knife that comes with a sheath for easy storage. 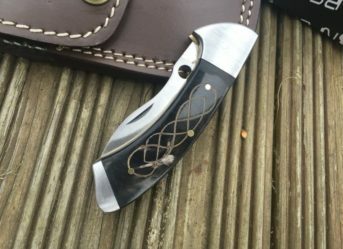 This knife is as hard as any other hunting knife but with a better provision for storage. 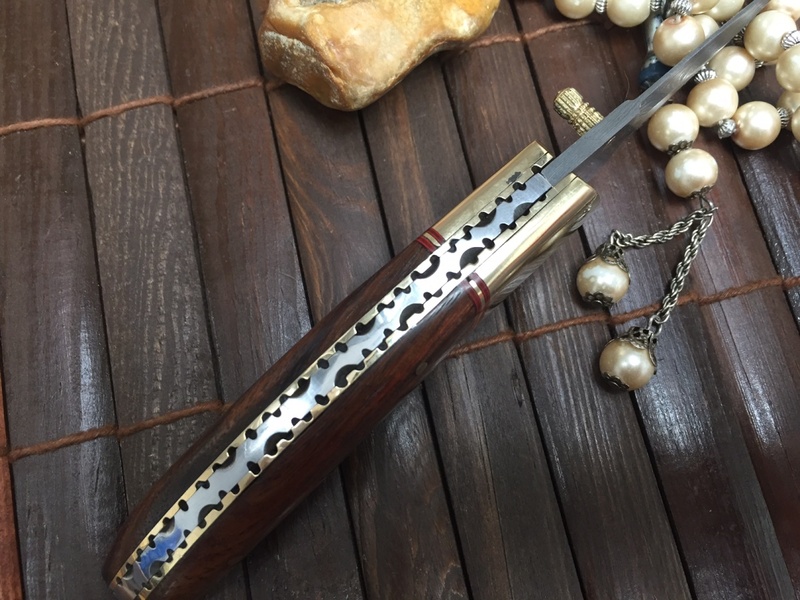 The walnut wood handle beautifully complements the 3-inch razor-sharp blade that is held tight when closed, thanks to the dependable liner lock mechanism. Solid construction that never fails to serve the purpose and design that is unique and rare; whoever carries this knife certainly knows that turning heads is as important as cutting through bushes and skinning flesh. 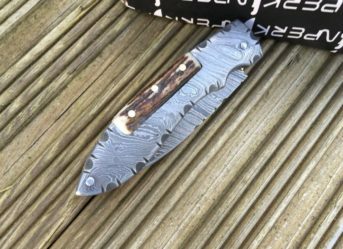 This knife is ideal to be used in cold weather when the user’s hand gets numb and runs the risk of receiving unintentional cuts. 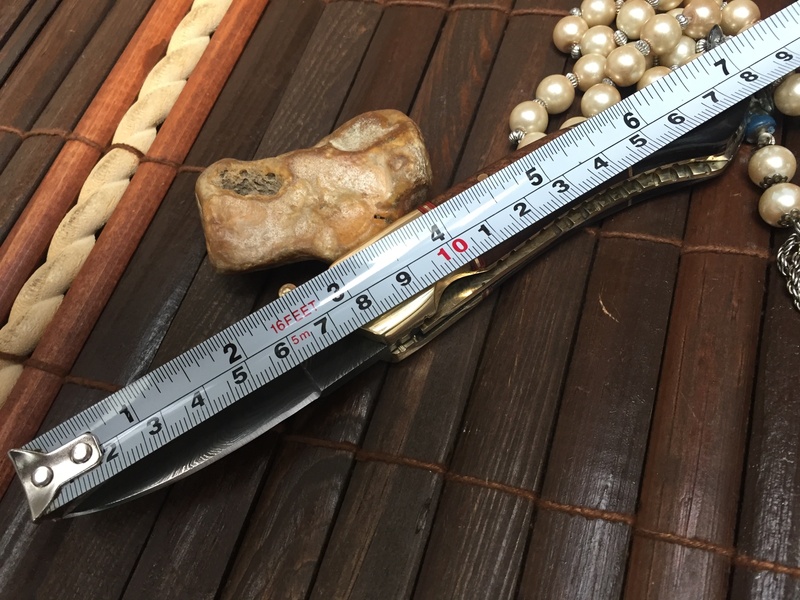 Rotate the blade through 90 degrees and it’s as innocuous as a stick. 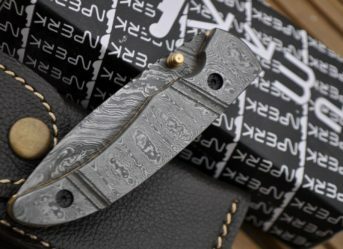 This Damascus Steel Folding Knife looks amazing from the side, back, front and side again –you won’t be able to hold yourself from admiring its beauty time and again. The artisans have worked really hard to achieve perfection and the efforts are pretty evident through its elegant lines. 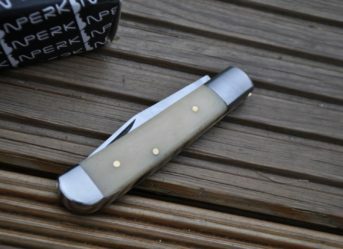 Perkin Knives is committed to providing authentic products that pass through strict quality checks before reaching the end-customer. There’s no better way to build a loyal customer-base than to provide them with quality products at a competitive price. 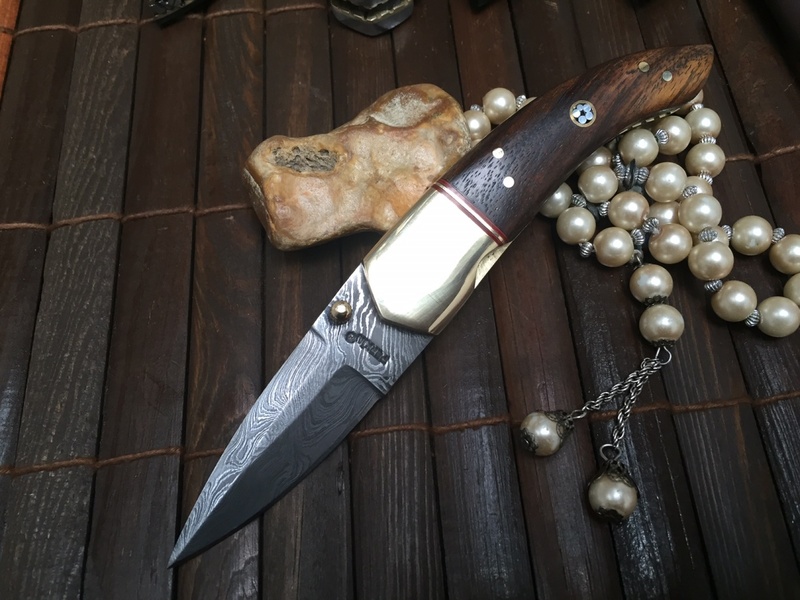 When you buy a product from Perkin Knives, you are actually buying the experience and skills that go into manufacturing and distribution, only to make sure that you get the quality you deserve. Explore our product-range to pick the best match for your needs and budget.